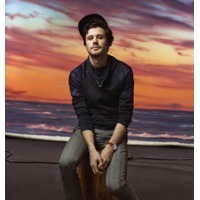 Passion Pit is an American electropop band from Cambridge, Massachusetts. The group, which formed in 2007, consists of Michael Angelakos (lead vocals/keyboards), Ian Hultquist (keyboards/guitar), Ayad Al Adhamy (synth/samples), Jeff Apruzzese (bass/synth bass) and Nate Donmoyer (drums). All of the band members, with the exception of Angelakos, attended Berklee College of Music.